The most anticipated harbinger of warm weather at the farmers market is the season’s first asparagus. When soil temperatures reach 50 degrees, the slender shoots emerge from the ground, leaving no doubt that spring has arrived. Local asparagus season typically runs from late February through May, though crops were delayed by a couple weeks this year due to a recent cold snap. Local asparagus is typically brought to the farmers market within a day of harvest, which means it is more fresh and tender than what you’ll find in grocery stores year-round. 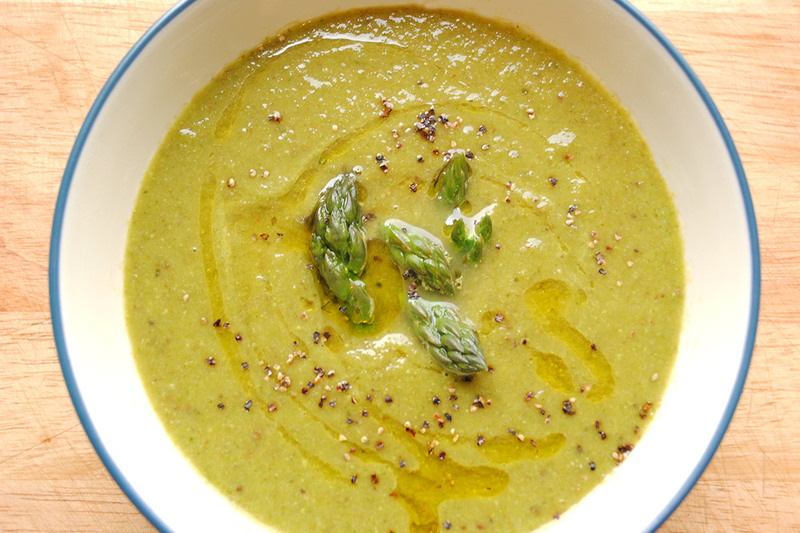 Enjoy asparagus fever while it lasts with these seasonal recipes from the CUESA archives. And to keep it simple, you can’t go wrong with a simple sauté of asparagus, peas, green garlic, and other spring favorites.